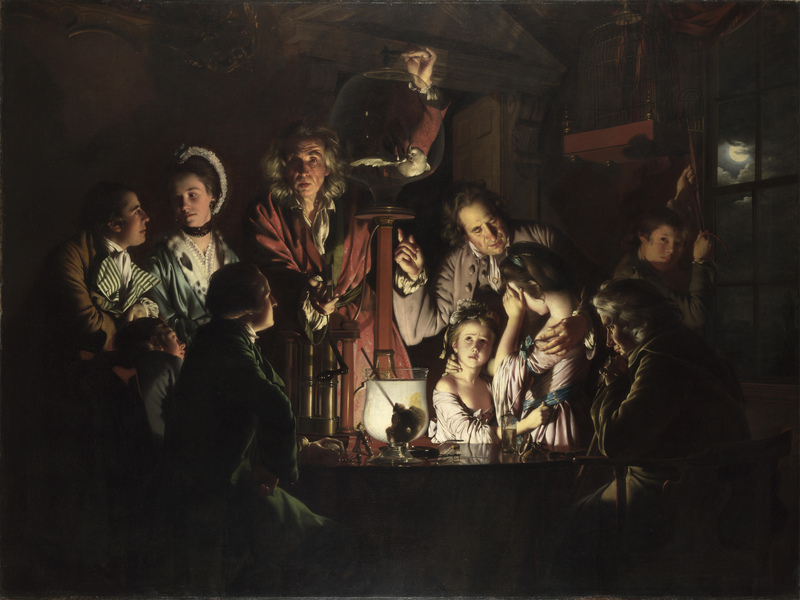 The enlightenment was a major intellectual movement that would change the course of the history of the world. This would be started by a huge explosion in philosophy that was made possible by the invention (or discovery) of the printing press in Europe. This philosophical explosion would be based on the concept that human beings could improve society through rational thought. This was a major departure from the ideas taught in the Middle Ages that were universally based on religion and largely ignored any other type of philosophical thought. This would change when Martin Luther challenged the official teaching of the Catholic Church. Instead of being put to death as a heretic, which would have been normal in previous times, he would inspire a massive shift in public thought based on the thought of equality under God. Not only would religious teachings be challenged, but people would question every basic assumption of society in the coming years (again, fueled by the printing press). This was a version of Christianity that would be foreign to most current people. The Catholic Church, for instance, spent centuries stifling mathematical innovation based on the belief that Christians shouldn’t use the number zero, because it represents nothing. The thought was that since Christians were supposed to stand for their beliefs, they shouldn’t use the number zero. This small philosophical belief would handcuff European mathematicians in comparison to their counterparts in other areas of the world. It is important to remember, though, that this is not something that should be blamed on the church itself, but on the over-reliance people put on their own religious beliefs. People all too often relied solely on the church to help them past problems during this time, instead of trying to solve problems for themselves. While the printing press was a major driving force behind this movement, it is important to note that very rarely in history is an event tied to one specific cause. Another important step was taken towards this goal when Europeans borrowed the V-shaped plow from their Eastern neighbors. This may seem funny to us now, especially since the Europeans were the last group to use this, but the amount of time that this “new” technology would save would directly influence the start of the enlightenment. Prior to this invention, Europeans spent most of their day working in the field in order to make ends meet, but this development would give them free time that they used in a variety of ways, not the least of which would be philosophical and political development. Rationalism: the idea that people could understand and improve the world using reason. Individualism: each individual had rights (often from God) that they were born with. Relativism: ideas from other people and cultures were all acceptable and not bad. These new thought patterns were problematic for people of the era in many ways, but the most important of which revolved around the departure from societal norms it would lead to. These thoughts not only created a separation between man’s intellect and God, but also challenged the traditional political powers of Europe. Many governmental leaders were in fear of these concepts because of the idea of what these thoughts of freedom may lead to. History would show that they had a reason to fear these new ideas, because they would lead directly to worldwide revolutions that would completely upset this balance and create the modern world as we know it. History suggests that with any change there will be both positive and negative consequences that cannot be planned for, and this change was no different. The thinkers of this era dreamt of a society that was free and equal, but that equality was often not envisioned for their young children. As the youth embraced these movements, they too would think critically about their rights within society and their own houses. The youth would also question the authority of their parents during this time period, which led to the concept of premarital relations becoming more popular in European society. Not only was this not an effect that the leaders planned for, but it was one that they desperately wanted to stop. It was, however, too late to stop this concept once it had taken hold within the youth of the era.